As of 1st April, 2019, VAT-registered businesses with a taxable turnover above the VAT threshold are required to submit their VAT returns, and keep their records, digitally, using the governments ‘Making Tax Digital’ (MTD) scheme. The scheme has been rolled out with the aim of making tax easier and more efficient to record and report for businesses of all sizes. Currently, Making Tax Digital is exclusive to VAT, with other forms of tax planned to be implemented into the scheme by 2020. By using an all-online system, errors will be minimised, accuracy improved and businesses will be able to record and submit VAT forms with greater simplicity. At Keith Willis Associates, we always aim to help our clients handle any and all tax-related matters, and that includes helping VAT-registered businesses become Making Tax Digital ready. As online accounting experts, we can work closely with businesses of all sizes to help them accurately record and report through the digital system. For VAT-registered businesses who qualify for the Making Tax Digital mandate, we are here to answer any questions and handle your online tax requirements without any stress. As part of the MTD scheme, businesses must now uses compatible software in order to submit VAT returns and record income/outgoings. As chartered accountants with a wealth of experience in cloud accounting, Keith Willis Associates utilise MTD compatible software to ensure a smooth and simple transition to online VAT accounting. 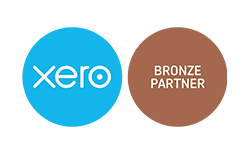 WIth Sage accounting and Xero accounting software both being updated to be compatible with the MTD system, our clients can benefit from our specialist software knowledge to make the entire process as straightforward as possible. To discuss the Making Tax Digital scheme or to discuss your business’ VAT requirements with us, simply contact our friendly team today.